It got me thinking. What does doing well mean? Does it mean you are a millionnaire? Does it mean you have cash you can throw at problems, a Porshe, a horse, and a vaction home? Or does it mean having enough money to live off of, not worrying about how you are gonna pay the bills and eat, and having enough money to live, travel, and enjoy life (not to show off)? I personally fall on the side of wanting enough money to not have to worry about money but it doesn’t really matter that much to me what that magical number is. Of course, that amount will vary depending on where you live (New Orleans v. New York), how big your family is, whether you have chronic health problems, etc. I completely agree with Meg here. “Doing well” is a headspace not a bank account number. It’s the place where you have enough that you don’t have to worry about having enough, especially worrying about our most basic needs like food or shelter. 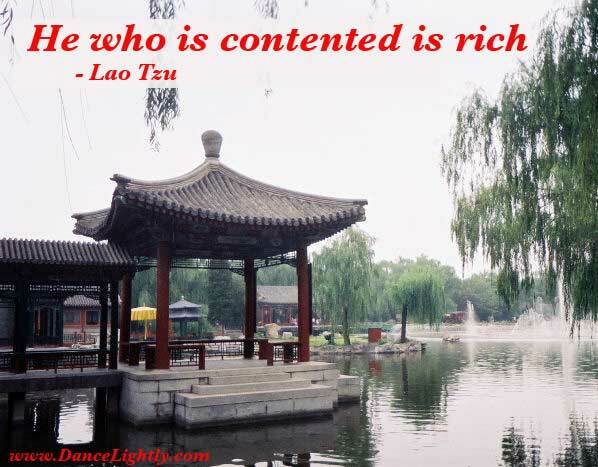 I think that it also includes being content and happy with the life I lead. I can find and be happy with life’s real value in friendships, experiences, love, memories, etc. That doesn’t have a dollar sign on it but it costs some money to have those experiences. I have to be able to travel to see my friends and family and it costs money to share a tasty meal (even if it’s pie at the Tastee Diner). These costs can be big or small but they are still costs. I read a lot of personal finance and other blogs and am often struck by how often financial advice veers into the lonely miser category. Sure, I can save money on my wedding by only inviting a few people, but I have so many people I love that I want there! Sure, I can decline invitations to dinner with my friends but then I miss out on that experience and opportunity to tighten those bonds of friendship. Sure, I can never take a vacation and work two jobs so that I can max out my yearly IRA contributions, but I would be bone-tired and cranky. What’s life without vacations, friends, family, and dinners together? Does that mean that I have to have millions of dollars to live a happy and full life? Nope. I can still live within my means and live frugally while still experiencing all life has to offer. That means for me that although I have debt and very little money in savings, I am planning to pay a small amount to go on a weekend spiritual retreat with some of my good friends later this month and I am planning a trip to visit my husband in Louisiana in November. It’s why I scrimped and saved and mystery shopped to get money together to spend a week in California for my sister’s wedding. It’s why I got to attend and help throw two bridal showers this weekend. Because I love the people in my life and I value the experiences. So for me, yep. I’m broke. But I’m doing well. Not a millionnaire and probably will never be, nor do I really strive to be. But I am rich in friends and family, even if all I can afford some nights is a grilled cheese sandwich. I don’t have to complain. Besides, I love grilled cheese sandwiches. Previous Post I joined the Yakezie Challenge!